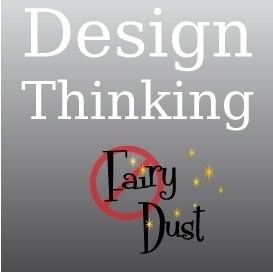 Design Thinking, it can help but it is not fairy dust! Helen Walters a design journalist and frequent contributor to Fast Company recently posted a great article that helps clarify what design thinking is and the role it can play in a business. Below are some highlights. The full article can be found on the Fast Company website. Design thinking is a tool to be used appropriately. It might help to illuminate an answer but it is not the answer in and of itself. 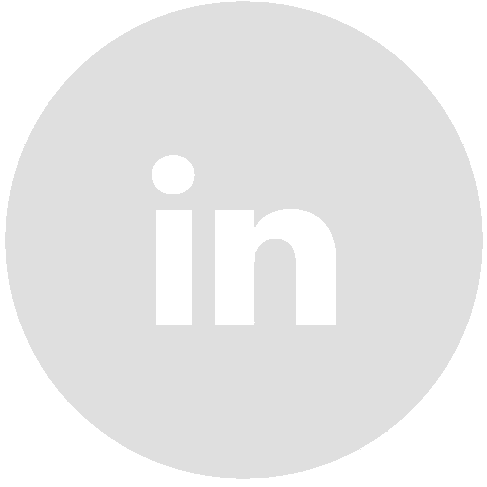 Design thinking is not a panacea. It is a process, just as Six Sigma is a process. Both have their place in the modern enterprise. Design thinking can live alongside efficiency measures, as a smart investment in innovation that will help the company remain viable as the future becomes the present. Design thinking turns up insights galore, and there is real value and skill to be had from synthesizing the messy, chaotic, confusing and often contradictory intellect of experts gathered from different fields to tackle a particularly thorny problem. Design thinking does not replace the need for designers, doing the work that they’ve been doing forever. Packaging still needs to be thoughtfully created. Branding and marketing programs still need to be brilliantly executed. Products still need to be artfully designed to be appropriate for the modern world. When it comes to digital experiences, for instance, design is really the driving force that will determine whether a product lives or dies in the marketplace. Design thinking is different. It captures many of the qualities that cause designers to choose to make a career in their field, yes. And designers can most certainly play a key part in facilitating and expediting design thinking. But it’s not a replacement for the important, difficult job of design that exists elsewhere in the organization. The disconnect between the design department, the D-suite, if you will, and the C-suite is still pretty pronounced in most organizations. Designers need to be well versed in the language of business if they are looking to take a more strategic role in the organization. It’s totally reasonable for their nervous executive counterparts to want to understand an investment in regular terms. Fuzziness is not a friend here. And yet, as I’ll get into in a moment, sometimes there’s no way to overcome that fuzziness. Leaps of faith are necessary. But designers should do everything they can to demonstrate that they have an understanding of what they’re asking, and put in place measurements and metrics that are appropriate and that can show they’re not completely out of touch with the business of the business, even if they can’t fully guarantee that a bet will pay off. She talks about Apple and Steve Jobs. The two worlds of design and business still need to learn to meet half way. Think of an organization in which design plays a central, driving role, and there’s really only one major cliché of an example to use: Apple. But what Apple has in Steve Jobs is what every organization looking to embrace design as a genuine differentiating factor needs: a business expert who is able to act as a wholehearted champion of the value of design. He’s the consummate example of one who’s built an organization on its promise. This approach of risk taking, of relying on intuition and experience rather than on the “facts” provided by spreadsheets and data, is anathema to most analysis-influenced C-suite members. But you need this kind of champion (Steve Jobs) if design thinking is to gain traction and pay off. There’s no plug and play system you can simply install and roll out. There is no promise you’ll never take another wrong step again if you buy into design thinking. Instead, you have to be prepared to be flexible and agile in your own thinking. By taking the pressure off design thinking and not expecting it to be the bright and shiny savior of the world, those trying out its techniques will be empowered to use it to its greatest advantage, to help introduce new techniques, to give new perspectives, to outline new ways of thinking or develop new entries to market. This isn’t about left brain vs right brain. This is about the need for analysis and synthesis. Both are critically important, from data analytics to complexity management to iteration and rapid prototyping. But even with all of this, there’s never going to be a way to 100% guarantee success. The goal here is to be able to act with eyes wide open, to have a clear intent in mind and to have systems in place that allow you to reward success and quickly move on from disappointment and to make sure that your organization learns from those mistakes and thus does not repeat them.